 Clean, well-kept, friendly staffsubmitted by Kate S. - Nov 01, 2018 |Recommended: YesLocated conveniently near Wash Park, Hanover Platt has been a great place to live. As first-time apartment renters, my roommate and I find the place to exceed our expectations. The staff is friendly, and the facilities are all extremely well kept. Additionally, any maintenance issues we have are submitted and fixed within 24 hours Would recommend living here to anyone.